This entry was posted on July 7, 2012 by Russell Smith. 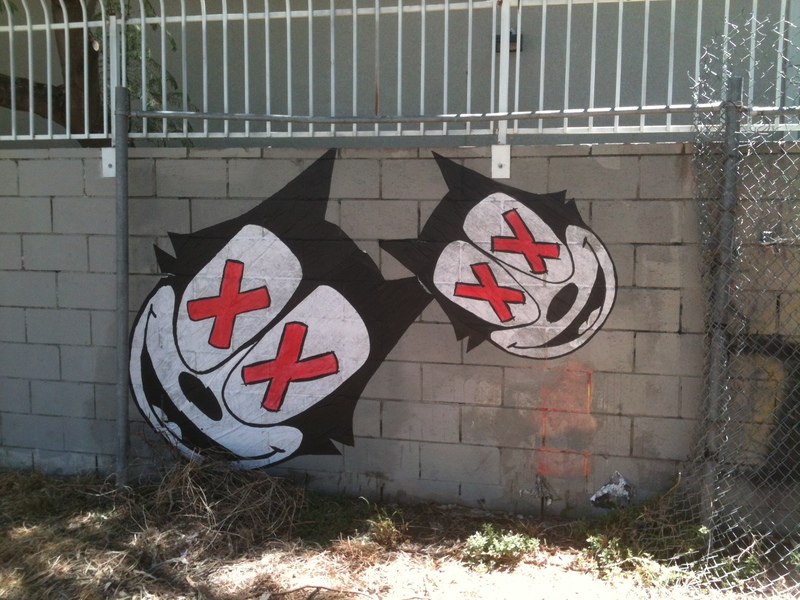 It was filed under Artwork, Street, Urban and was tagged with art, Felix the Cat, graffiti, Hollywood, Russell Smith. I like it…. but what does it mean? What do you think it means, Rumpy? Dead kitties? Cute happy kitties on crack… what could be more obvious?